Yoshida et al. investigate how the phytohormone ABA balances normal growth and metabolism. https://doi.org/10.1105/tpc.18.00766. By Takuya Yoshida and Alisdair R. Fernie, Max-Planck-Institut für Molekulare Pflanzenphysiologie. Background: Abscisic acid (ABA) is a plant hormone that is tightly associated with water availability. 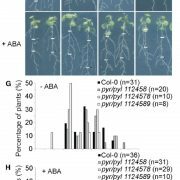 At the organ level, dry seeds obtain desiccation tolerance via ABA. 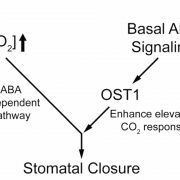 At the cellular level, ABA controls the movement of stomata (pores on the leaf surface) for transpiration and the exchange of CO2 and O2. 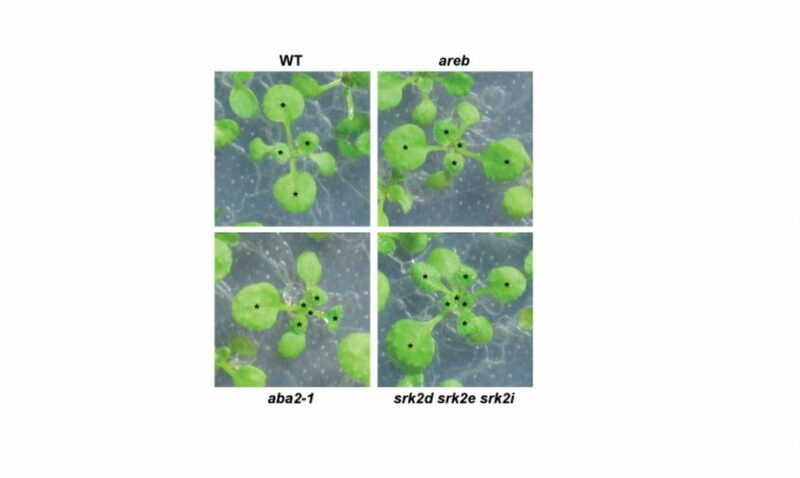 At the molecular level, many genes responsive to drought are regulated by ABA signaling. These attributes of ABA are consistent with its abundance, as it accumulates in seeds and vegetative tissues under water-limited conditions. ABA is also thought to function under non-stress conditions. For example, the ABA level in tobacco leaves fluctuates during a day-night cycle. Question: We wanted to know if ABA is involved in plant growth and primary metabolism under non-stress conditions. We tested this by analyzing growth and metabolic phenotypes of an Arabidopsis thaliana mutant that lacks the main kinases governing ABA signaling and shows an increased number of leaves under non-stress conditions. 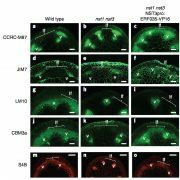 Findings: The vegetative leaves of the ABA signaling mutant emerged more rapidly than those of wild-type plants. Another mutant, which is unable to produce ABA, also showed increased leaf number. In addition, the metabolite profile of the ABA signaling mutant was similar to that of the mutant lacking ABA but different from that of wild-type plants. Isotope-labeling experiments, which are useful for estimating metabolic fluxes by tracing 13C or 14C, indicated that the tricarboxylic acid (TCA) cycle was impaired in the ABA-signaling mutant. The TCA cycle is a fundamental metabolic process for the production of energy and amino acids. 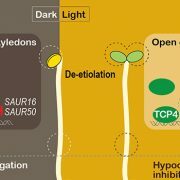 Our findings thus shed light on how hormone signaling is connected with primary metabolism in plants. 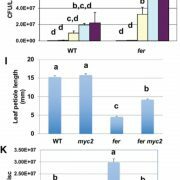 Next steps: Our work demonstrates that the main regulatory kinases involved in ABA signaling are important for maintaining primary metabolism and leaf growth under non-stress conditions. Open questions include which up- and downstream components function in this ABA signaling event and whether ABA also plays key roles in crops grown in irrigated fields. 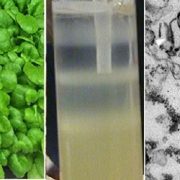 Key words: ABA, leaf growth, primary metabolism, and Arabidopsis.